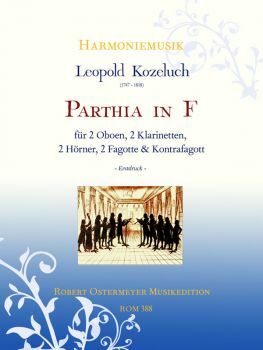 Leopold Kozeluch was born on 26/06/1747 in Welwarn, not far from Prague. He was the son of the shoemaker Antonín Bartholomäus tradesman and civil Kozeluch. He was baptized in the name Ioannes Antonius. The composer Jan Antonín Kozeluch was his cousin, the pianist Katharina Cibbini (1785-1858) his daughter. To avoid confusion with his cousin, he named himself probably around before in 1774. On the occasion of his marriage on 14 November 1782 with Mary Allmayr of all-star (a niece Ignaz von Born's) he was registered as "Johann Leopold Koscheluck" in the matric. Ko¸eluch received his first art lessons in Welwarn by Anton Kubík and later by his cousin and Franz Xaver Dussek. He successfully attended the Gymnasium in Prague and then studied law. After a few semesters, he abandoned his studies and devoted himself entirely to music. In 1771 he made his debut with a ballet at the National Theatre in Prague. Over the next seven years Kozeluch composed about 25 works for the Prague National Theatre. In 1778 he went to Vienna for a short time and was probably the pupil of Johann Georg Albrechtsberger. After a short time Kozeluch became a celebrated pianist. The imperial court entrusted him with the successor of Georg Christoph Wagenseil as music teacher to the Archduchess Elisabeth, the daughter of Empress Maria Theresa. 1781 Ko¸eluch refused the post of court organist in Salzburg from Mozart to succeed. This was in 1792 after Mozart's death chamber at the same court composer and conductor for life. Some students, including the blind pianist Maria Theresa Paradis, he taught privately at home. Inspired by Masonic ideas Kozeluch joined the lodges in Vienna "Zum Palmbaum" and "Zu den drei Adlern" at. During his lifetime learned Kozeluch recognition throughout Europe, and in his last years, but he was often criticized as being a prolific writer. The negative reviews of Mozart and Ludwig van Beethoven are forgotten today. Still have his best works on already trains the language of music by Ludwig van Beethoven and Franz Schubert. In fact, some of his works for a long time been attributed to Beethoven. 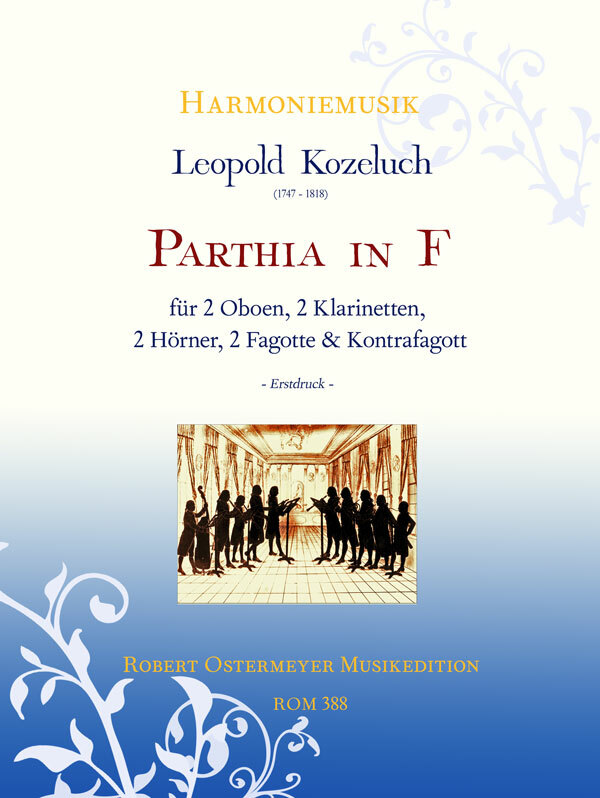 Leopold Kozeluch died in Vienna on 7 May 1818 at the age of 70 years at the throat.